New Album, New Sound, New Daughtry? 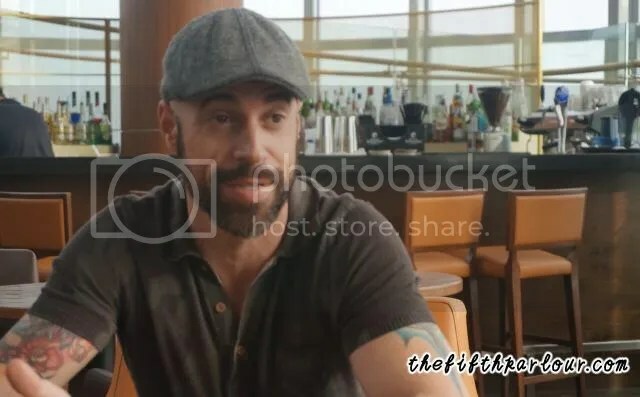 A performer, an artist, and a father, he is none other than Chris Daughtry. Chris Daughtry is in town with his band, Daughtry, to celebrate ION’s 5th anniversary. He will be performing later at the fashion concert happening at ION2, ION’s outdoor public square at 7pm. Yesterday, before the interview, we managed to witness Chris put his touch on the painting partially completed by the Singapore Association for Mental Health (SAMH) and completed by the children from Movement for the Intellectually Disabled (MINDS) (Elva Hsiao also added her own touches!) 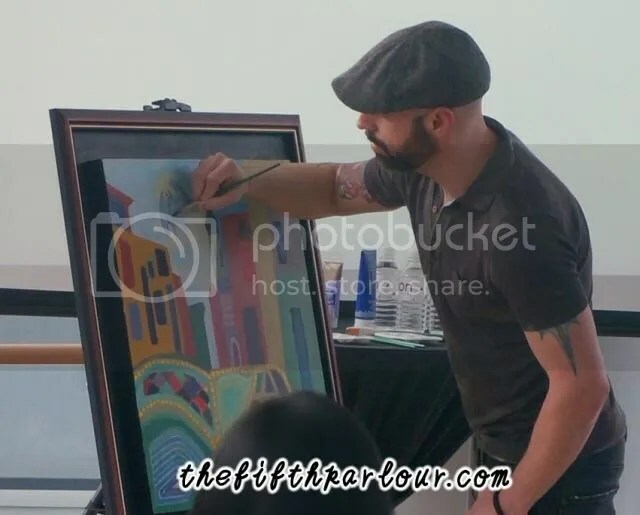 It was really great to see Chris in action painting a Batman’s logo. Last November, Daughtry released their forth album, Baptized, which included singles such as Waiting for Superman, Long Live Rock & Roll and Battleships. If you have listened to the previous albums and compared it to Baptized, I’m sure you would realize that it is way different from the first three albums. Chris took said he took a risk for the forth album and worked with different writers and producers. For this album, he worked with likes such as Martin Johnson from Boys Like Girls, Sam Hollander, Claude Kelly and other writers he has never worked before. “Them being fans of the band, it was kind of working with someone who is giving you their interpretation of you. It is definitely more lighthearted of the record, lyrically too,” revealed Chris. It is evident that the band is heading to a new direction. If Chris were made to choose a song to represent the band at this moment of time, he would be narrowing it to Baptized or Waiting for Superman because he feels that that is the kind of sound and music they are now. He also added that these songs are some of his favourite tunes he has ever written. After Singapore, the band will be touring Japan and the States. They will then take a short break to spend time with their loved ones before cracking their brains to produce album number five. Speaking of family, how does he cope being away from his family during tours? “We all have kids in the band so that is the hardest part being away from your kids. It is probably harder on us than on them,” shared Chris. Thanks to technology, no matter you are in the world, you are able to communicate with your loved ones. Likewise for Chris, he will spend time to Facetime. However, being in different parts of the country, time difference is another factor to consider hence, most of the times, Chris will text his family to update them. If you want to be updated about Chris and the bands’ activities, head over to their official website, follow the band on Twitter and Instagram and like them on Facebook! Fans of Chris Daughtry, here is a gentle reminder. Be attentive to your surroundings when you shop because you might not know who is next to you. According to Chris, he loves to shop and usually needs to buy another luggage to fit his buys! 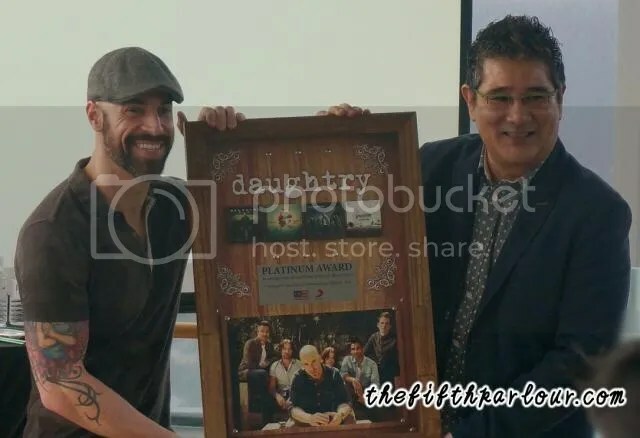 The Fifth Parlour would like to thank Chris Daughtry for the interview and Gen and her team for their invite to the press conference and coordinating the interview. Daughtry is my favorite band, they are amazing!